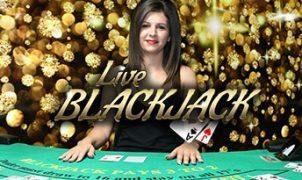 Many professional players can confirm that he/she has won a lot of money using the Live Blackjack Counting Cards Strategy. This strategy is relatively simple and helps you determine your advantage over the live dealer. 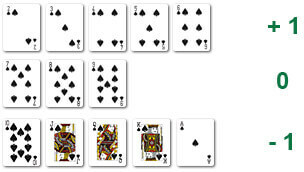 However, there are several variants of counting the cards, one of which is more complicated than the other. When counting the cards, you as a player take note of which cards have already been dealt. You do this by giving positive, neutral or negative values to these cards. Each new dealt card contributes to the count. This creates a new number on the counter (in your head). At the start of the game, so when the live dealer has a new deck, the count will always start at 0. Count low cards for 1 point and high cards for a -1. From this you can conclude that when the value rises on the counter the chance of high cards grows. When the value drops, the chance of low cards is greater. A high value on the counter is the right time to use higher bets. 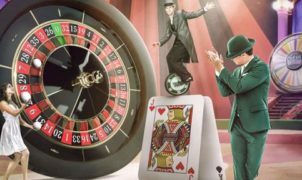 The chance of a Blackjack for the player will be bigger at the moment, and the chance that the live dealer will get more than 21 points too. Counting the simplest variant of the cards during Live Blackjack is the following: you always start counting cards at zero. Then, for this variant, it will depend on the card being rotated or + 1, 0, or – 1 will be added to the counter. If a card with a value of 2, 3, 4, 5, or 6 is dealt, you add 1 at the counter every time. If this is 7, 8, or 9 then the counter remains the same number. For cards with a 10 to Ace, a point of the counter will be subtracted. Once a plus 2 appears on the counter, there is an advantage to you as a player. However, the number of card games used will also affect the count of the counter. The number on the counter must therefore always be divided by the number of card games used. If there is a 2 on the counter then it is time to turn up the betting amounts.